Sown three years ago, our Hablitzia plants are really going for it this year. 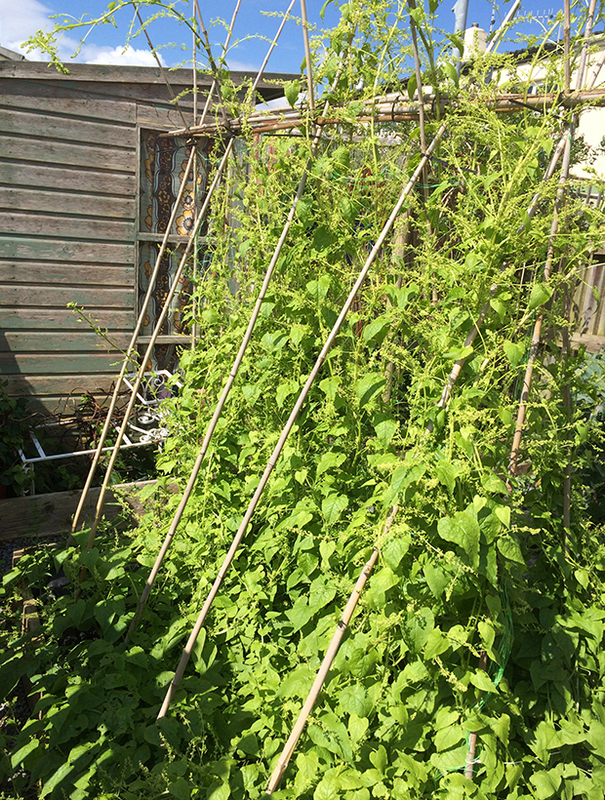 In their first year the plants were quite small, in their second they managed to grow a few feet and now in their third they are sprawling their beautiful edible leaves outwards and upwards reaching a height of 8ft and it is only June! In early spring the plants had begun to produce quite good crowns of shoots as they have begun to mature. 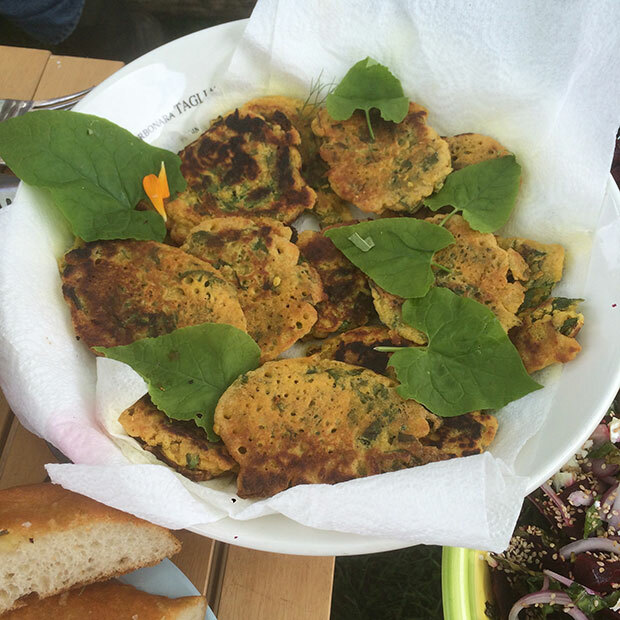 We have been able to harvest quite a lot of leaves this year and have even made up our own recipe of ‘Hablitzia Habfritzia’s’ – these are little pancakes made with a chick pea flour batter ( 8 0z Chick Pea flour, tsp baking powder, pinch of salt, tsp cumin, coriander, pinch of turmeric and cayenne). Add to this some freshly chopped Hablitzia leaves and then fry in vegetable oil until golden brown. Delicious! Small flower heads are beginning to form and it is looking like we will have a prolific amount of seed this year which we will be gathering and saving. 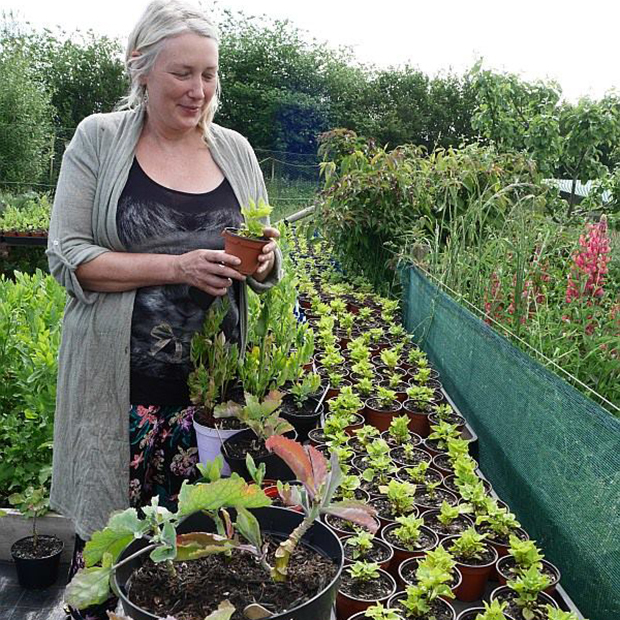 4-6 Hablitzia plants are ideal to have a steady crop of leaves to harvest between spring and summer.